Well, along with many other writers, I suppose I could lament the ending of summer, now that Labor Day weekend is fast approaching, yada, yada, yada. I’ll mention instead a couple of things that are promising for jazz lovers. First, Walker West Music Academy is to be congratulated on their monthly 8 O’Clock Jump Series. The first two shows: Nicole Mitchell Quartet on Sept 6, Ron Carter Trio on Sept 11; are already sold out, but you can still get tickets for upcoming shows by going to their website. The other good news is that Crooners Lounge and Supper Club has instituted Jazz Tuesdays, with a fine line-up each week in September. I’ve listed Dave Karr’s Tuesday appearance below. They are also featuring jazz on other nights, with occasional R&B acts as well. There is some great roots and blues this week as well. 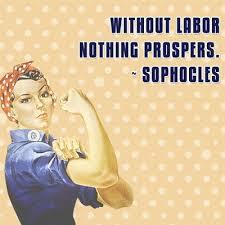 Check out what you can. Music lifts the spirit. Anthony Cox Presents @ Jazz Central, Minneapolis. 8:30pm ($10 Suggested Donation) On the first Wednesday of each month, bassist Cox brings in a small group or ensemble from different disciplines to collaborate with each other. He’s open to questions and dialogue with the audience, which often creates an insight into the creative process. Sheridan Zuther @ Crooners Lounge and Supper Club, Fridley. 4:30 – 6:30pm (No Cover) Crooners seems to be having an artists of the week for happy hour. This week it’s Sheridan Zuther, a vocalist whose strong voice and engaging personality will add even more happiness to your happy hour. Rhonda Laurie Trio @ Crooners Lounge & Supper Club, Fridley. 7-10pm (No Cover) Vocalist Laurie’s assured way with swing and gypsy jazz will both calm your nerves and brighten your evening. Vicky Mountain @ Jazz Central, Minneapolis. 7:30pm ($10 Suggested Donation) Mountain, who teaches vocalists at MacPhail Center for Music, shows off her ability to find the jazz nub in a variety of tunes ranging from Fats Waller to Lieber & Stoller. Here’s just a taste of this hip singer. Jon Weber: From Joplin to Jarrett @ The Dakota, Minneapolis. 8pm ($15) Weber may be one of the most talented pianists in the country, able to play any song in any style and then tell you about its origins. Here’s a sample of what he knows. Andrew Schwandt Quintet @ Jazz Central, Minneapolis. 8:30pm ($10 Suggested Donation) Schwandt is a saxophonist who has played cruise ships and all manner of bands, from Steeling Dan and Big Walter Smith to Fuzzy Math. He’s joined by Chris Lomheim, piano; Matt Peterson, bass; Karl Koopmann, guitar; Mac Santiago, drums. Here he is performing an original song with another one of his groups, Story City. Zacc Harris Quartet @ The Nicollet Cafe, Minneapolis. 9pm (Tip Jar) An A-list of pro musicians: Zacc Harris, guitar; Phil Aaron, piano; Matt Peterson, bass; Jay Epstein, drums. Jana Nyberg Group @ Crooners Lounge & Supper Club, Fridley. 7:30 – 10:30pm (No Cover) The flautist/vocalist brings her group, including trumpeter/hubby Adam Meckler, to the club located about 3/4 of a mile north of 694 on Central. Adam Booker CD Release @ Vieux Carre, Saint Paul. 9pm ($10) Booker is a Duluth bassist whose fine CD, Unraveled Rival, is being released on the Twin Cities label Shifting Paradigm. He’ll have a sextet backing him: Ryane Frane, piano; Adam Meckler, trumpet; Pete Whitman, sax; Zacc Harris, guitar; and Pete Hennig drums. Saturday Night Jazz @ The Blackdog Coffee & Wine Bar, Saint Paul. 7pm (Tip Jar) This Saturday night series continues to showcase new bands along with established bands. Tonight at 7pm it’s VVG, the debut performance of a young band featuring Josh Johnson, sax; DeCarlo Jackson, bass; Levi Schwartzberg, vibes; and Ben Beyene, drums. Then at 8:30pm it’s What Would Monk Do?, with Steve Kenny, flumpet; Billy Peterson, bass; Peter Schimke piano; and Kenny Horst drums. Connie Evingson sings Dave Frishberg @ The Jungle Theater, MInnenapolis. 4pm, 7pm ($25) Evingson continues her successful series of themed concerts at the Jungle Theater. This time she’s taking on the songs of Dave Frishberg, known for Peel Me a Grape, My Attorney Bernie, and more. She has Jon Weber, piano; Dave Karr, sax; and Gordy Johnson on bass to supply stellar support. Here she is singing a samba. Convergence Trio @ Black Dog Coffee & Wine Bar, Saint Paul. 8pm – 10pm (Tip Jar). Bassist Michael O’Brien is in town for a few days. He has joined with Joel Shapira, guitar; and Eric Kamau Gravatt, drums, to create this trio of seasoned players who are well versed in jazz standards. Victor Wooten @ the Dakota, Minneapolis. 7pm ($40), 9pm ($30) Bassist Wooten has won five Grammy, and is known for both his solo work and as a member of Bela Fleck and the Flecktones. Dave Karr Quartet @ Crooners Lounge & Supper Club, Fridley. 7pm (No Cover) Crooners has started Tuesday Night Jazz, a weekly series featuring some of the most accomplished musicians in the area. Tonight the 80-something Karr brings his quartet to the lounge. The veteran saxman (and flautist) can blow bebop licks and turn around and caress a ballad with his wonderful tone. I don’t know who he’ll have, but it will be fine, to say the least. Here’s an example. “Suds for Slim” @ The Nightingale, Minneapolis. 4pm – 2pm. 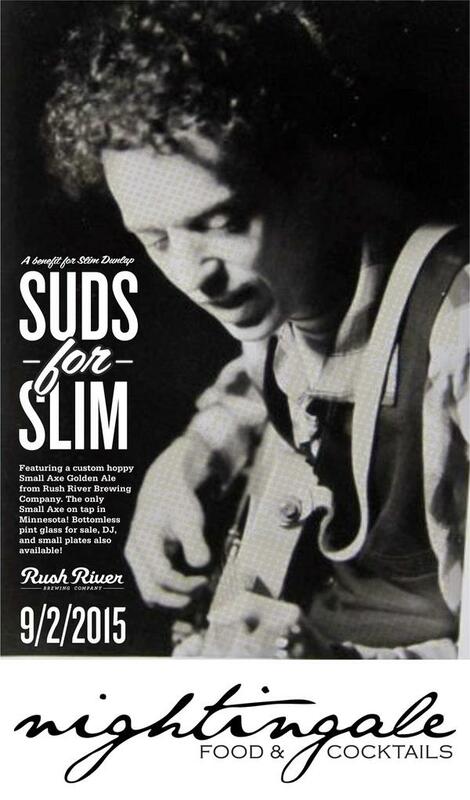 (Free) Rush River Brewery and the Nightingale are teaming up to release Suds for Slim, a special brew, with the proceeds going to guitarist Slim Dunlap and family. Deejays Mark Trehus will spin from 4pm – 7pm, when DJ Fathertime (Mike Elias) takes over. I’ll command the wheels of steel from 10pm til closing. Lonesome Dan Case & the Hoppers on KFAI and @ The 331 Club, Minneapolis. 5pm (90.3 & 106.7FM) 7pm – 9pm (331 Club – tip Jar). Case is a bluesman influenced by Rev Gary Davis, Robert Johnson, and jug bands of the 20s and 30s. His voice has a lonesome quality (hence the name), earned no doubt, as he honed his craft traveling around the country. He’ll be joined by a new backup duo, The Hoppers. Steve Clarke & the Working Stiffs @ Crooners Lounge & Supper Club, Fridley. 7pm – 10pm (No Cover) Get out your dancing shoes and prepare to move to jump blues, jive, and swing as saxophonist Clarke and his septet take the stage. Asleep at the Wheel @ The Dakota, Minneapolis. 7pm ($45) 9pm ($30) In an era of country music that’s increasingly pop and rock oriented, this septet celebrates Western Swing, that combination of swing and country music that found it’s biggest star in Bob Wills. Since the band was founded in West Virginia over 40 years ago, they’ve had nine Grammies, 20 studio albums and 20 singles on the country charts. Lil’ Ed & the Blues Imperials @ Famous Daves, Minneapolis. 9pm ($7) Lil’ Ed is one of the most exciting blues players on today’s circuit. His fiery slide guitar, along with strong vocals and high energy, have consistently rewarded audiences around the world. Boogie Wonderland @ Minnesota Music Cafe, Saint Paul. 9pm ($?) Get out the platform shoes, glitter and shiny shirts. It’s time to boogie down to as this six piece disco tribute band treats you to music from the 70s and early 80s. Jailhouse Rock @ Raspberry Island, Saint Paul. 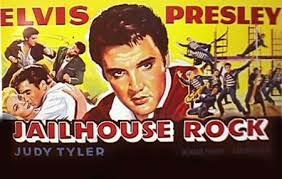 8:30pm (Free) Early Elvis at his best, with the titled dance scene often cited as his greets moment on screen. Grab a blanket or a chair (and some picnic fixings if you like) and make your way to Raspberry Island (under the Wabasha Bridge) for this screening of the 1957 rocker. The title song is listed at #67 on Rolling Stone’s list of the 500 Greatest Songs of All Time. Film begins at dusk. The April Fools @ Harriet Brewing Tap Room, Minneapolis. 7pm ($5) It’s roots music night at the Taproom, as KFAI’s Jackson Buck presents Wilkinson James at 7pm followed by the April Fools at 9pm. The Fools are Brian Drake, guitars/vocals; Clay Williams, guitar/lap steel; Ben Kaplan, drums/percussion; and Scott Hreha, bass. Reggae Fest @ Harriet Brewing Taproom, Minneapolis. 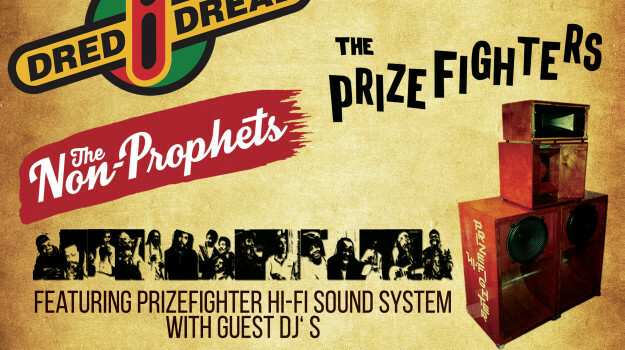 1pm – close (Free) The day starts with DJs spinning reggae and ska vinyl through the Prizefighter Hi-Fi Sound System, built just like the reggae-fueld sound systems of Jamaica. At 2pm, the Non-Prophets, a new band in town, will take the stage, followed at 4:30 by the Prizefighters, playing ska, roacksteady, and early reggae. Headliners Dred I Dread come on at 6pm and DJs close out the evening once more. There will be Caribbean food trucks available all day. Coco Montoya @ The Dakota, Minneapolis. 7pm ($25), 9pm ($20) Montoya was at the Minnesota Music Cafe in May, and now he’s visiting the other side of the metro area. He’s a southpaw, playing left-handed and upside down like Albert King, and having learned his technique from years of playing with Albert Collins. As a world-class road warrior, Montopya has received high praise from such places as The Boston Globe, The Village Voice, and Guitar One magazine. Saddle Sores @ The Eagles Club #34, Minneapolis. 8pm ($7) Classic country from the 50s-70s, along with plenty of dancing. Drinking too, if you like. David Grisman Bluegrass Experience @ The Fitzgerald Theatrer, Saint Paul. 8pm ($40 – $50) Mandolin pioneer Grisman has long been a formidable force in acoustic music, able to combine and integrate a number of music forms and traditions, including jazz, bluegrass, country rock, and world music. Jerry Garcia gave Grisman’s music the name “Dawg Music.” Originally scheduled for The Dakota, it was moved to the Fitzgerald to handle the response for tickets. Here is Grisman playing with Sam Bush.